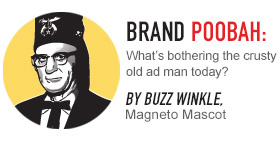 It’s been a heckuva year at Magneto, full of brand advertising and…tortilla chips? We give to you Magneto’s own “Best of 2014” list, but ours is full of more snark, sass and awesome design. A prosperous 2015 to you from the Magnetos! Frito-Lay’s Josefina takes on Juanita, prized tortilla chip of the Pacific NW. We take sides and ask for guacamole recipes. The Magnetos are RCTID and explore how the Portland Timbers front office engaged a community since moving up to Major League Soccer in 2011. Chown Hardware celebrated its 135th anniversary this year with a new brand identity, developed by Magneto. Ronald McDonald gets some new digs and makes us wonder what clowns really have to do with cheeseburgers, anyway. The Magneto team goes MythBusters and looks at the differences between traditional and digital marketing. Spoiler alert: they’re pretty similar. #Selfies – brands are taking on millennial social media trends. This could get ugly. For the sixth straight year, we’ve worked with M Financial to create their annual report. Not just facts and figures, we explore concepts like nanotechnology and the Internet of Things. Things we Like: Stephen Colbert, Powell’s Books, buying local. Win. Win. Win. 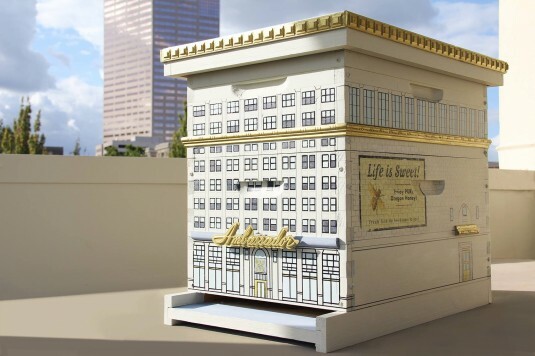 Take a look at Magneto’s own Ambassador Bee & Bee, Portland’s newest hotel…for bees. We animated a two-minute video to introduce local startup, Patrons Media.